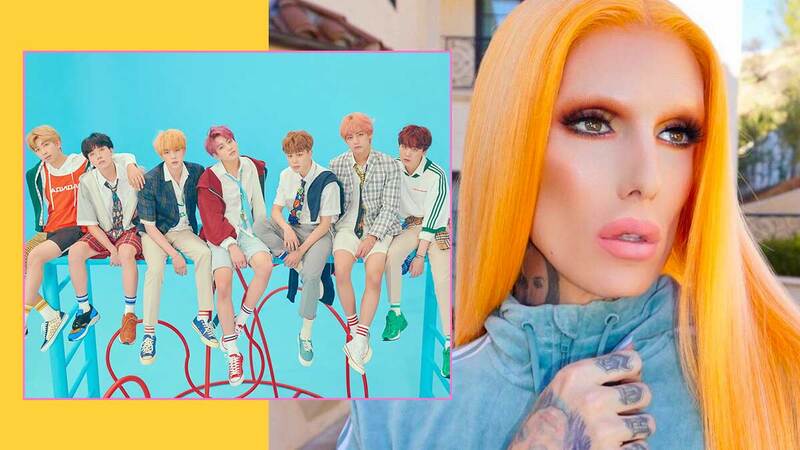 ARMY, Jeffree Star Just Ordered BTS Makeup! Think it'll get his stamp of approval? If you watch Jeffree Star's beauty videos religiously like we do, then you know he only speaks the truth when it comes to makeup products he reviews. That's why when he asked his Twitter followers for what they want him to feature next, people started pitching ideas. One Twitter user said: "Full face of Korean beauty products"
To which Jeffree replied, "Should I? What are some other Korean beauty brands you guys want me to try?? Send links and I'll buy." An ARMY recommended BTS' recent makeup collection with VT Cosmetics, and guess what? Jeffree actually ordered it! Do you think this will get Jeffree's stamp of approval?